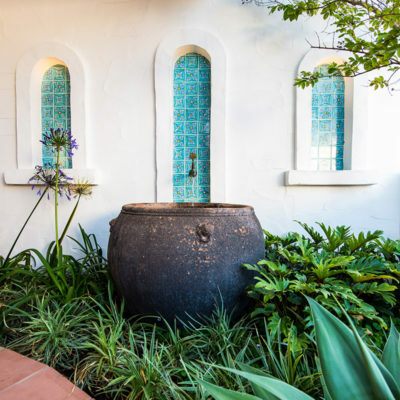 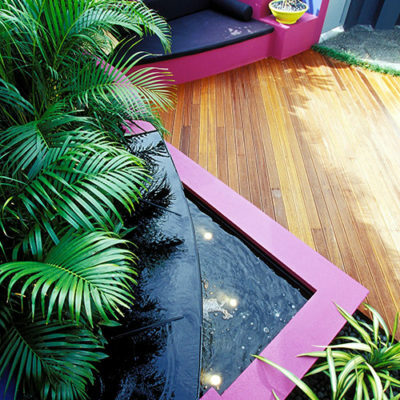 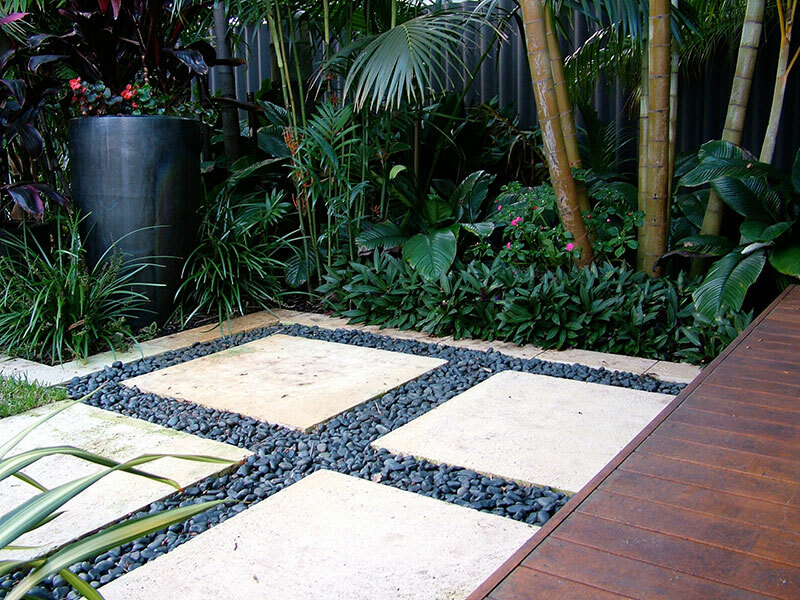 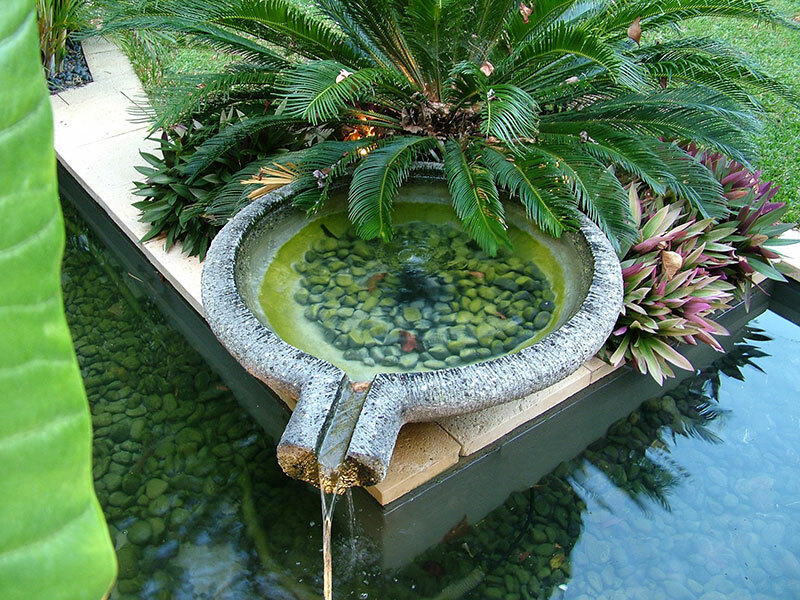 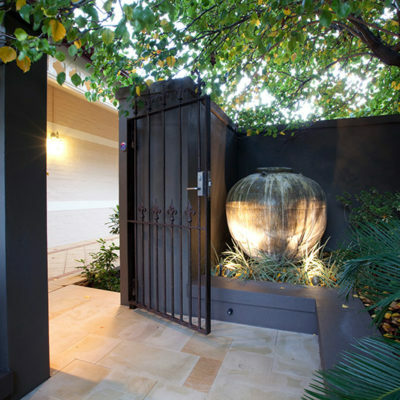 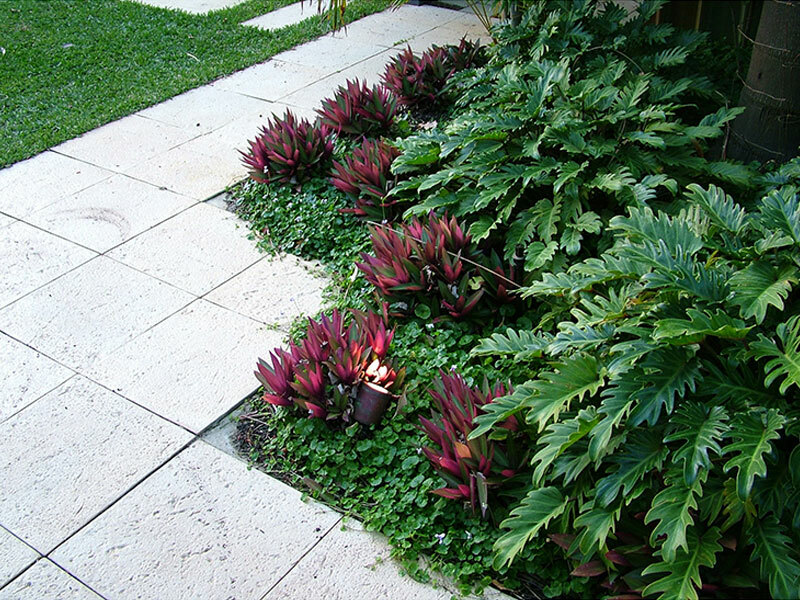 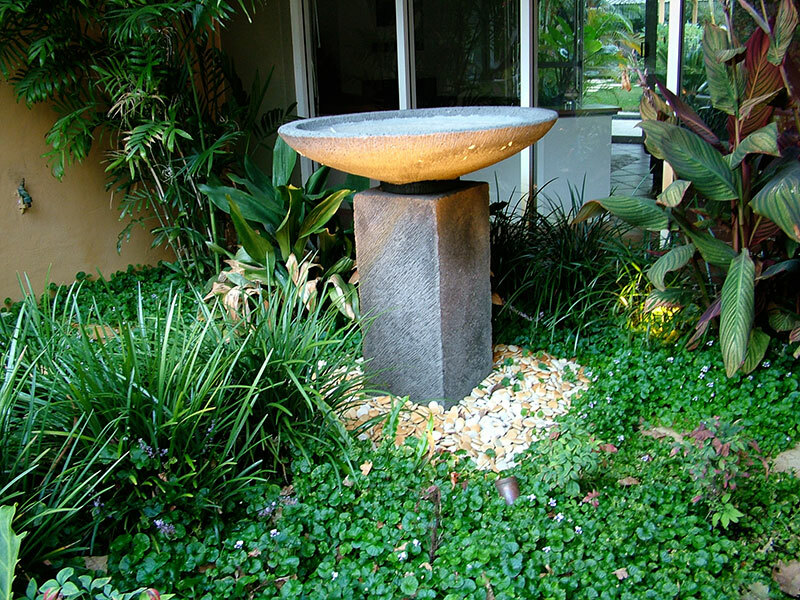 This sub tropical sanctuary was a garden renovation carried out several years ago on an 800 sm site in Nedlands. 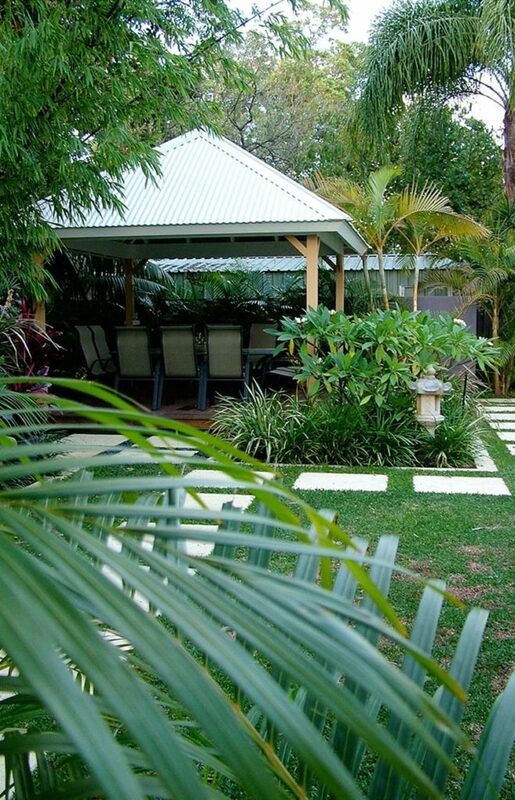 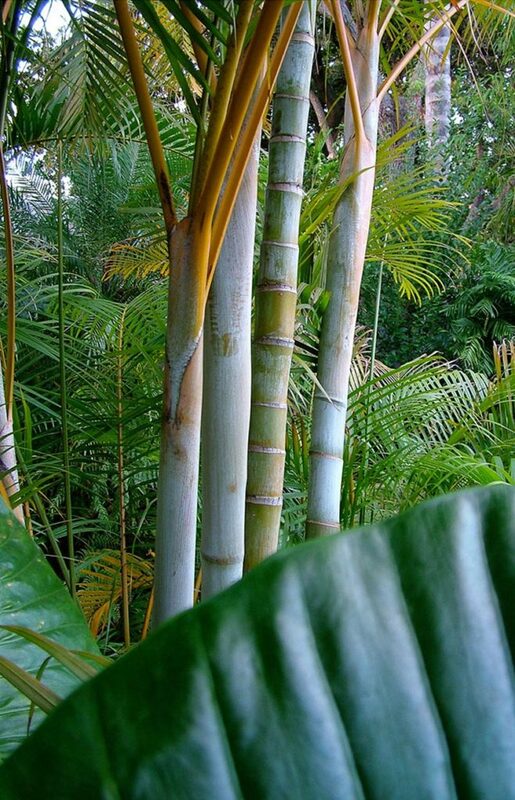 The neighbour's property comprised several mature trees which provided shelter and protection and a suitable micro-climate for the tropical theme of the garden. 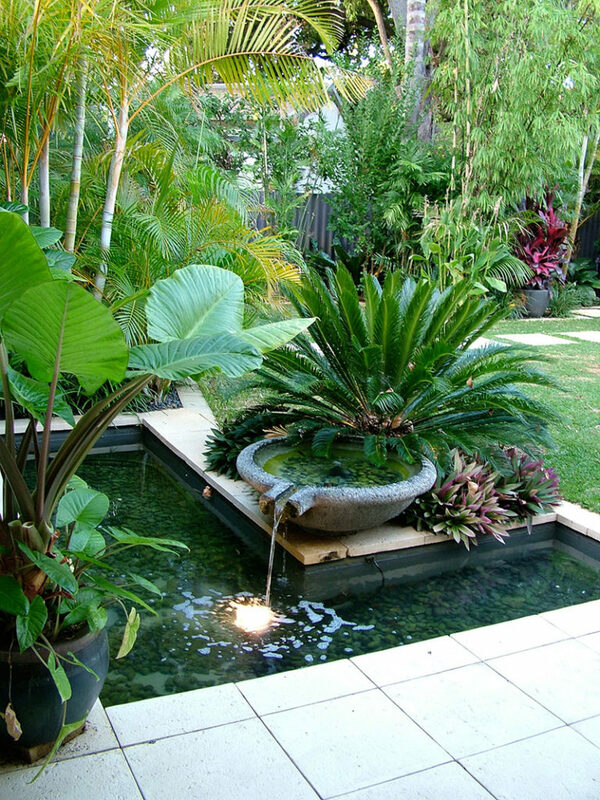 There were also a number of palms which were relocated as they were too close to the house providing a sense of maturity to the garden on completion. 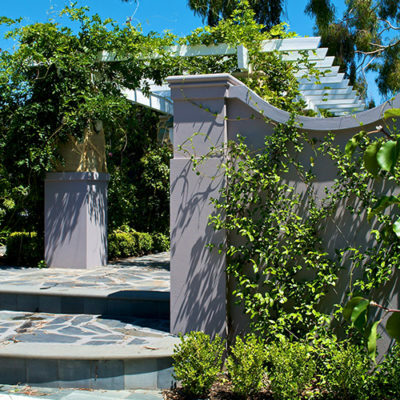 The soil preparation was exemplary and illustrates that with the right preparation even sub tropical plants will thrive in the heat of the Perth Summer. 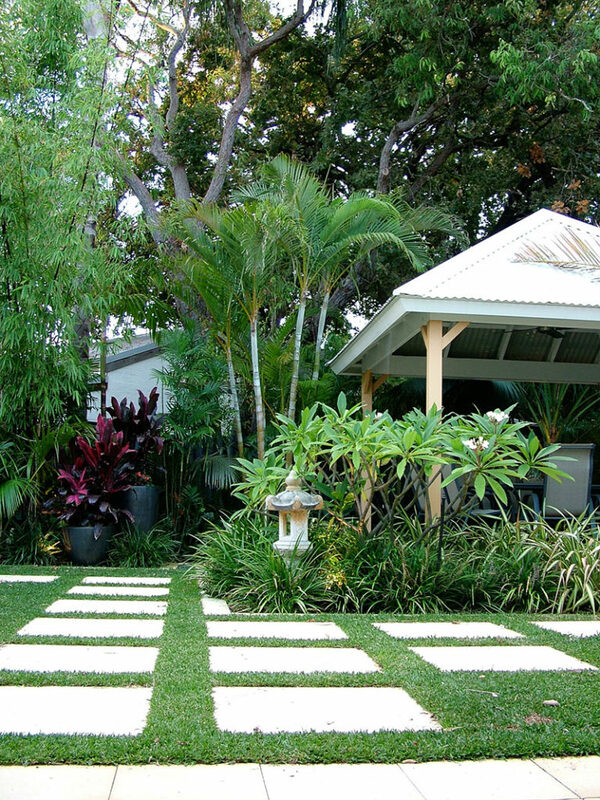 A beautiful shady and inviting garden for the the whole family to enjoy.